May the 4th be with you! 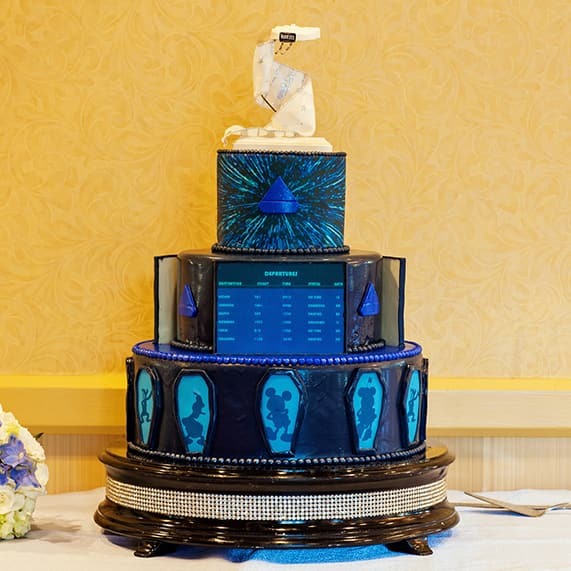 Whether you're on the dark side or fighting for peace, these wedding cakes will surely have you in a Star Wars frenzy. 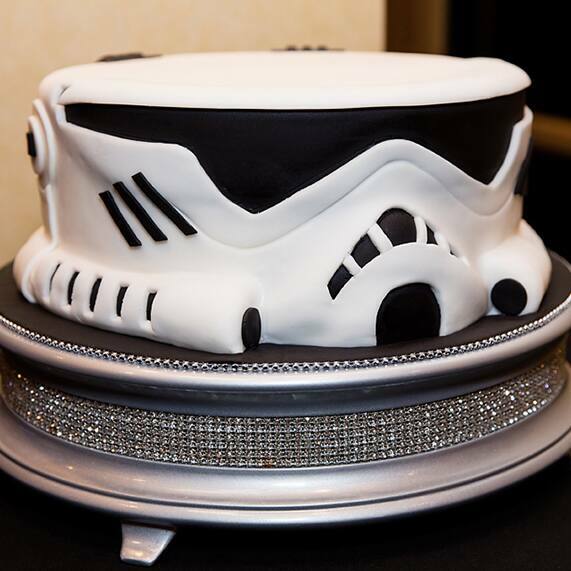 Decorated in stark white and black armor, this first stormtrooper cake is the perfect replica of the Galactic Empire soldier. 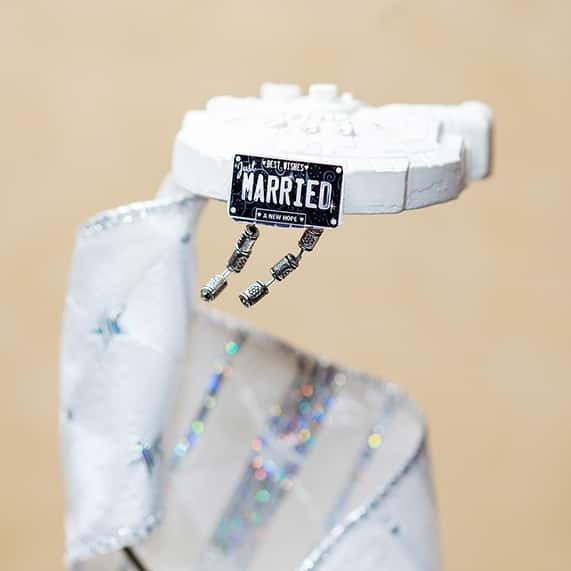 For supporters of the Rebel Alliance, a three-tiered Millennium Falcon inspired cake will surely wow your guests, especially when topped with a cute "Just Married" sign. 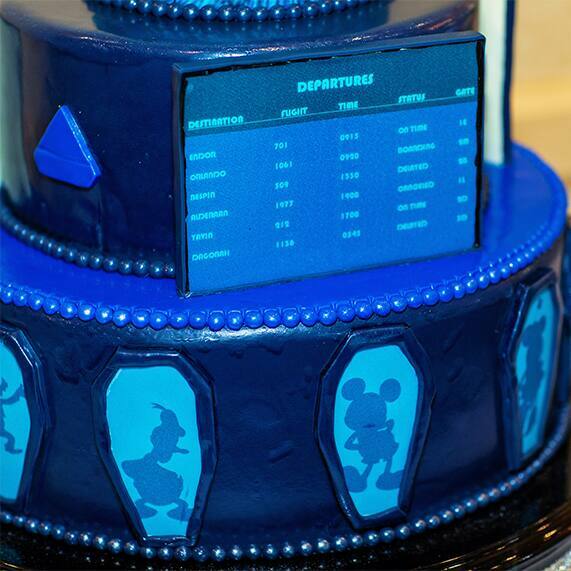 If you're considering a Star Wars inspired cake for your upcoming celebration, let these galactic wonders inspire your taste buds and awaken your imagination.